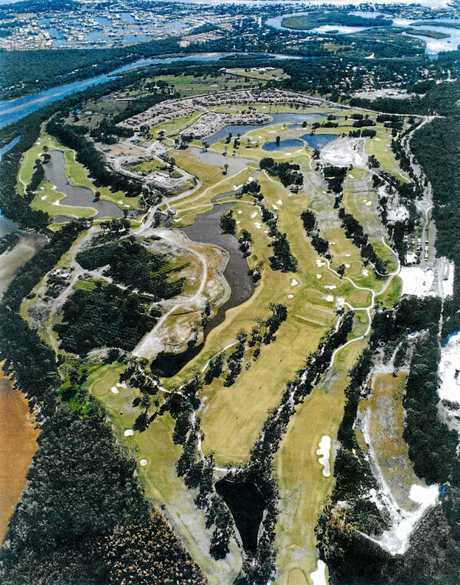 Below left: Earthworks on the clubhouse site as viewed from the Palms. Below right: Alan Starkey announcing construction of the clubhouse. ALMOST everything he'd done, learnt and experienced in an extraordinary career as an architect and developer was put to good use in the creation of this unique golf course development. Alan Starkey had recently completed two residential projects - Noosa Crest and Noosa Pacific - when, in 1992, he discovered an area of rugged grazing land on the banks of Lake Weyba might be on the market. The property, then known as Weyba Ranch and owned by John Hoffman, was being used to run quarter horses and cattle. Indeed, in years gone by it had hosted the annual Noosa picnic races, to which well-dressed Noosa residents trekked in their four-wheel drives. The Starkeys bought the 103ha property, with its 1km frontage to Lake Weyba and surrounded by Crown land and Noosa National Park. A critical part of Noosa tourism infrastructure was about to be created. Mr Starkey had a good idea of what he wanted - a world-class residential precinct made up of beautiful homes, designed to meld with the environment; a superb golf course carved out of the bushland; and a splendid resort offering the sort of activities that would make living at Noosa Springs a joy. 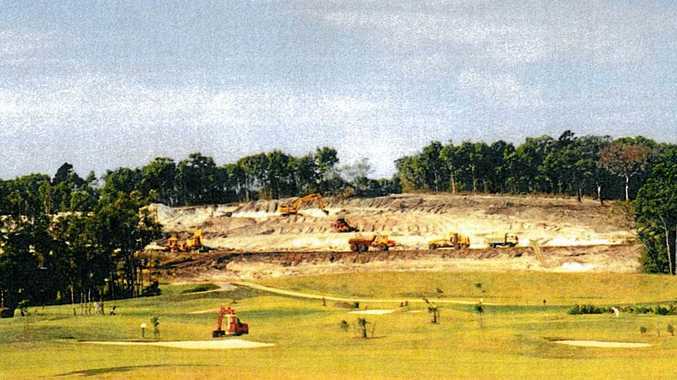 Noosa Springs 3: 15th fairway partly complete with Cascades 1 under construction (1998). Above all, he wanted to create something special - an exercise in excellence that would deliver a development that would stand the test of time and of which Noosa could be proud. Over the following months he travelled the world, inspecting the best examples of golf-based residential developments, then sat down and drew up a master plan for what would become the Noosa Springs Golf and Spa Resort. It was - and is - a remarkable document. It specified and positioned the various stages of the residential development - even the number of homes in each precinct. Mr Starkey designed the clubhouse and made provision for a future hotel. He planned for tennis courts, a gymnasium and a spa. He even designed the layout of the 18-hole golf course. 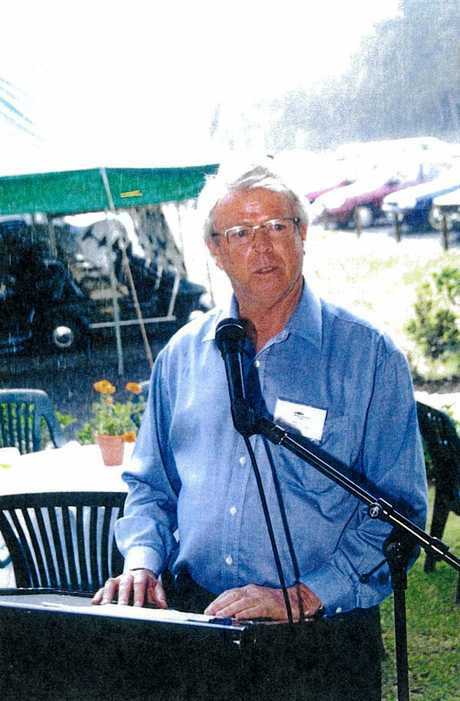 Noosa Springs 2: Alan Starkey announcing construction of the clubhouse. 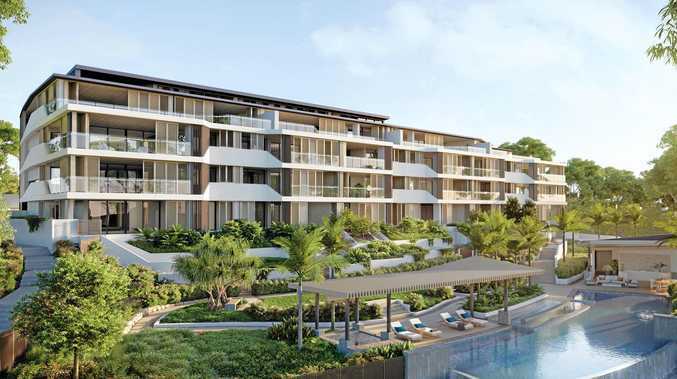 As Noosa Springs took shape over the next two decades, it followed almost every line of that original master plan, testament to Mr Starkey's skill as an architect as much as to his vision. It took several years and a great deal of hard bargaining to get his plans through Noosa Council and the State Government, though Mr Starkey was quick to point out that council staff and most councillors were always supportive of the project. In the end, approval was granted in November 1995 for 544 homes, a 200-room hotel, a golf course and a resort. The project would provide 200 construction jobs and many permanent resort jobs. By this time Mr Starkey had persuaded his son, Philip, to give up his job as a corporate lawyer in North Queensland and return to Noosa to help make his dream a reality. "He asked me for a commitment for a few years, that he needed some help with the planning approvals and getting the project off the ground,” Philip recalled with a smile. Noosa Springs while operating from temporary demountable sheds in the year 2000. Work began in April 1997 on the first residential stage - Cascades 1, which comprised 25 villas. Mr Starkey and his team designed every home, ensuring they reflected "a contemporary Noosa style, with a Mediterranean influence”. The villas were offered at prices ranging from $295,000 to $485,000 and, as with every aspect of this meticulously planned development, the Starkeys took charge of marketing and sales. "We were told we'd be doing well to sell three properties a month,” Mr Starkey said. The Starkey family company, StarCo Developments Pty Ltd, was in charge of the entire project and one of the first things it did was commission a new roundabout at Cooyar St and build a network of roads. About the same time, bulldozers moved in and the golf course began to take shape. 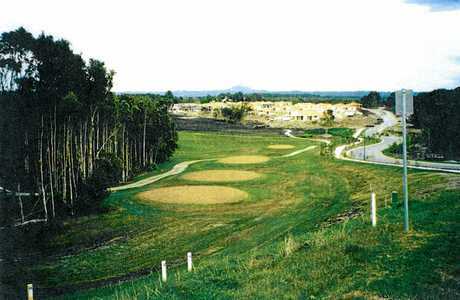 It was built by Grimsey Johnson Constructions, a Queensland company that specialised in building golf courses. The par 72, 6230m championship golf course, incorporating a network of nearly 10ha of freshwater lakes fed by natural springs, was ready for play in 1999. Over the following two decades Noosa Springs grew to become one of the finest golf courses in the country. The Starkey family sold Noosa Springs to a Hong Kong developer nearly four years ago.